After our first year and a half of hand-picked movies and special events, we are ready to grow! Cinema of the Dam'd doesn't end with the credits. Thank you for choosing to be a part of our community! Cinema of the Dam’d is a group of friends and film enthusiasts who came together to build a community cinema. We believe that films are best enjoyed on the big screen with others, neither in an impersonal chain theater, nor from the solitude of a laptop. In the summer of 2017, we renovated the old screening room at the OT301 arts building, which is the former site of the Dutch film academy. 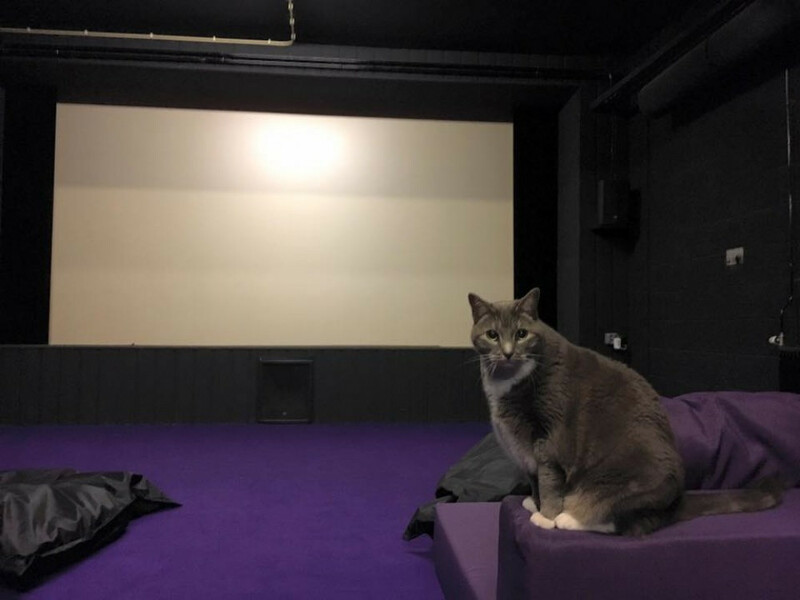 Adding sofas and beanbags (and a very friendly cat) to the theatre, we created a cozy space that combines the relaxed feeling of home with the diverse and adventurous program of a repertory cinema. When we first launched the cinema, we were hosting events just two nights a week. Now, we have more than doubled our program to four (and sometimes five) nights a week. Our main focus is on damned films: underrated, undistributed, obscure, overlooked or just plain odd movies that had fallen through the cracks of the commercial film industry. We also like to program thematically, allowing us to find playful connections between films, and discover new movies, while avoiding obvious categories and the usual focus on films canons. We are also presenting silent films with live musical accompaniment, working with a diverse group of guest programmers, and hosting Dutch premieres of new and noteworthy movies. This past winter, with the support of the Amsterdam Fonds voor de Kunst, we presented Women’s Work, a 16 week series of new films by emerging female directors. After only a year and a half, we feel that we have just scratched the surface of what can be done with our space, our people, and our program. - To show more new films. Almost all new films are released in DCP, a digital format that requires special hardware and software. Part of the proceeds from this campaign will be used to upgrade our cinema for DCP allowing us to screen recent releases that would otherwise go unseen in Amsterdam. - To build a more robust and sustainable organization. We want to be better organized and ready to handle the demands of an expanded program. From program development and copywriting to rights research and event promotion, running a venue requires developing skills and having the time and resources to apply them. While volunteering will always be at the heart of what we do, we also want to increase our ability to pay people for their labor and to invest in the development of a skilled and diverse programming team. For these reasons, part of the proceeds of this campaign will be allocated to compensate our core volunteers more for their contributions. Finally, we are using this campaign to deepen the connection we have with our community by launching a membership program. 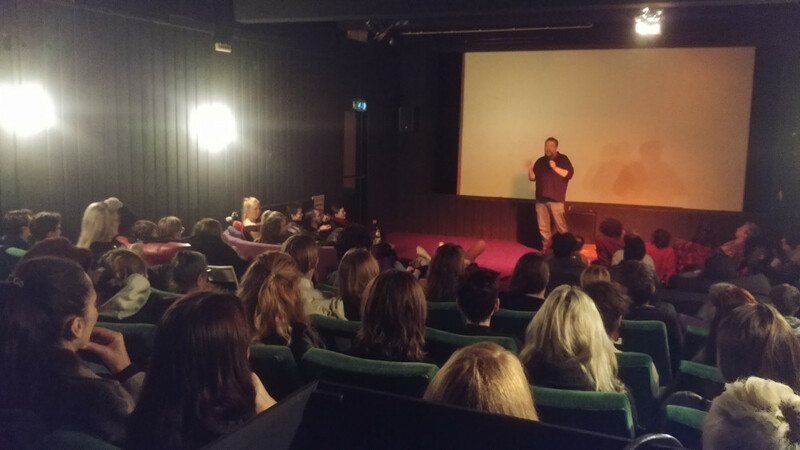 In addition to helping us reach the crowdfunding goal of this campaign, the first Cinema of the Dam’d members will have free entry to all of our regular film screenings and discounted entry to our special events. They will also be invited to our Dam’d Members Night, a monthly screening of something very rare and special just for our members. Dam’d Members will allow us to achieve financial stability, while also ensuring that our programming continues to be adventurous, eclectic and diverse. If you value the experience of discovering movies together in the dark, drop by the cinema or support us here by becoming a Dam’d Member! Find out more about our screenings and events on cinemaofthedamd.nl or on our Facebook Page. A Dam'd story Cinema of the Dam’d is a group of friends and film enthusiasts who came together to build a community cinema. We believe that films are best enjoyed on the big screen with others, neither in an impersonal chain theater, nor from the solitude of a laptop. Become a Dam'd Fashion Victim! Free popcorn for the night & one drink of your choice + the new edition of our T-shirt or tote! A Dam'd Snack! Claim a free box of piping hot popcorn on your next visit. Double Dam'd! You get two boxes of our famous fresh popcorn on your next visit, plus two drinks of your choice! A Dam'd Movie Madness Card! Get one voucher valid for 5 movies & 5 boxes of our fresh popcorn! Become a Dam'd Member! As one of the first members of the Cinema of the Dam'd you will have free entry to all of our regular screenings and to the special members-only events for one year! Become a Dam'd Devotee! As one of the first members of the Cinema of the Dam'd you will have free access to all of our regular screenings and to the special members-only events for one year, plus one of our new t-shirts or totes! Your Big Dam'd Night! Enjoy a private screening with your friends and a movie of your choice, plus free popcorn for everyone!